This dog (no microchip) was found near the Clyde Shepherd Nature Preserve earlier this month. A kind neighbor has been holding on to him (?) but will need to surrender it to animal control or rescue soon. 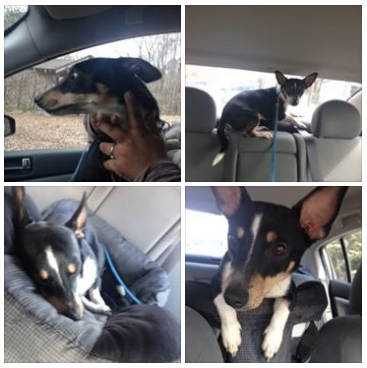 If you know who the owners might be, or an interested in a small, sweet "mini-pin" or rat terrier-type dog, please email medlockassoc@gmail and we'll put you in touch with the person who is taking care of this puppet.